Where do I start? It sounds like I’m exaggerating every time I say how honored I am that someone will ask me to spend time and capture their family together but I really do feel so lucky that I’ve been able to do just that! 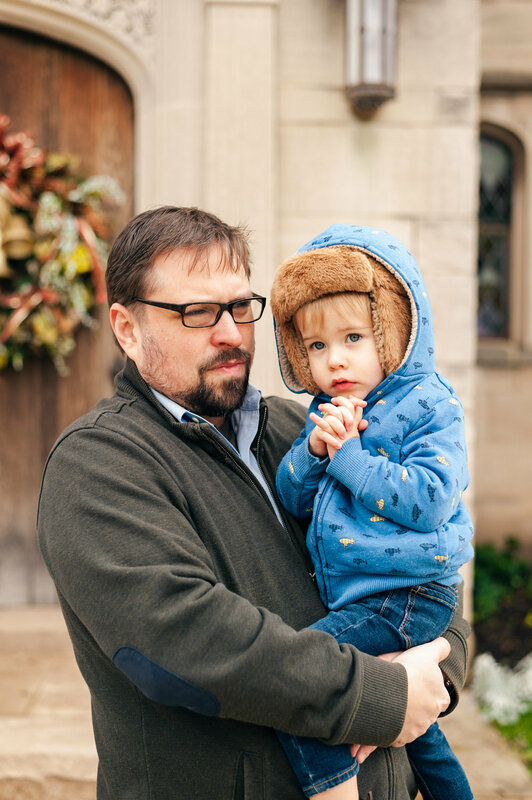 When my good friend Niki asked me to take some family photos in Pittsburgh last month I didn’t hesitate to say yes. We’ve been friends since we were 14 or 15, being barn rats together out at S.F. Ford Stables, riding horses and later teaching together. The summer I turned 21 she was in Sevilla, Spain and I was in Newark, NJ (where I was SUPER homesick for my friends) and the moments we got to spend on the phone together were the highlight of my summer. Almost exactly 10 years ago I was maid of honor at her wedding and now I get to witness a whole new part of her life with her husband Ted and their 2.5 year old, Sammy. The whole family is just a delight and I love every moment I get to spend with them when I’m back home in Pittsburgh. I had to laugh during their session because she kept saying “I hope you can find one or two good ones” and I was like “EVERY PHOTO IS AMAZING.” Little Sam was such a good sport, alternating between smiling for the camera (or at least looking in its general direction) and keeping his eyes on Todd behind me, who might be the child whisperer and was throwing a baseball the entire time to amuse Sam. Of course, Sammy was more interested in the John Deere truck, sculptures and his soccer ball than posing for pictures, so we did a mix of portraits and candid shots, having fun playing on the grounds. Hartwood Acres is a place I spent a lot of time growing up. It was down the road from where Niki and I horseback rode and we used to go there for horseshows and concerts, seeing Christmas lights and rolling down the giant sledding hill. The mansion is a really stunning backdrop (sadly the historic barns were off limits that day due to a movie shoot) and I can’t wait to get back to Pittsburgh and photograph there again! Thank you Niki, Ted and Sam for having me spend the morning with you!